We are in Summer Hours until next Fall. See our Location/Hours page for more details. Practice on your own or get help from a pro. IEG Gift Cards make the perfect gift! Order online. Planning a birthday, bachelor or company party? Let us help you plan it. Welcome to Inside Edge Golf. 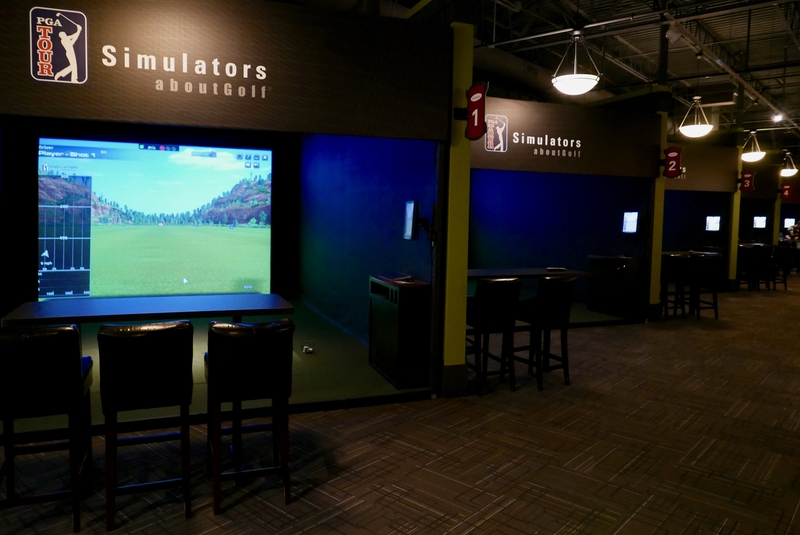 Inside Edge Golf is a year-round, indoor golf entertainment and training facility conveniently located at the intersection of highways 4 and 5 in Eden Prairie. Play, learn, and practice at your own pace in a relaxed, inviting atmosphere. Our aboutGolf PGA Tour Simulators feature over 70 world-famous courses rendered in amazing 3D graphics. Hit a drive along the Pacific Ocean at picturesque Pebble Beach, challenge yourself on the Road Hole at St. Andrews, conquer the 16th at Hazeltine or test your nerve at TPC Sawgrass’ famed island green 17th. At Inside Edge Golf you can also work on your game using our simulators’ highly sophisticated game improvement technology. With nine of the most accurate simulators in the industry (including the amazing, 3-screen SimSurround and the equally stunning Curve), leagues, lessons and corporate/group events, we are designed for golfers of all ages and stages of their game. We’ve also got you covered with ample parking, wireless Internet access, private rooms, great food and drink options, and individually controlled HDTVs at each simulator station. All of this and more at the facility recently voted WCCO Best of Minnesota for indoor golf and also named as the best local indoor golf facility by TwinCitiesGolf.com! Whether you come to learn, practice or play, we are dedicated to helping you Keep Your Game Sharp at Inside Edge Golf!